Discussion in 'Rivatuner Statistics Server (RTSS) Forum' started by grinch66, Feb 2, 2019. 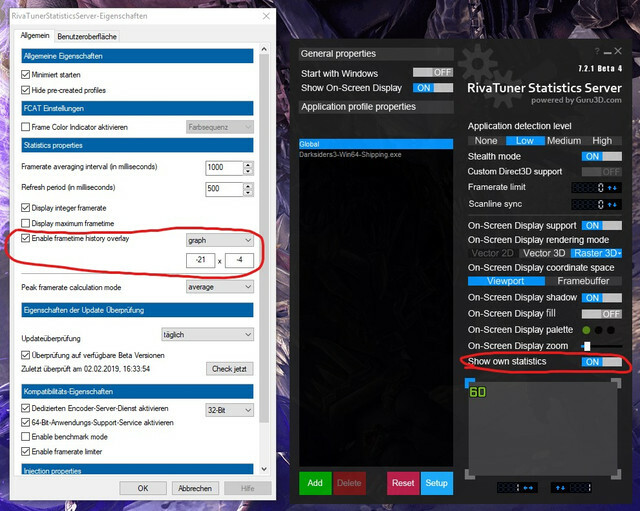 After the update to Afterburner 4.6.0 Beta 12 and Rivatuner Version 7.2.1 Beta 4 the Rivatuner own statistics don't work for me anymore. Peek into release notes please, it is documented there. What point exactly do you mean? Complete deinstallation and reinstallation did not solve the problem. Just read it, you clearly have not even tried to do it. And no, deinstall/reinstall is NOT supposed to “solve” anything. Please RTFM.